Online Reseller Keyword Advertising Liability 101! Online reseller advertising trademark liability arises when advertisers or resellers either resell or facilitate the resale of a trademark owner’s branded products or when advertisers compare their products to their competitor’s products by referencing a protected trademark in their online ads. But, under the first sale doctrine, a trademark’s owners’ rights do not extend past the first sale of goods bearing its mark. Any distributor who resells trademarked goods is not liable for trademark infringement as long as the trademarked goods it sells are genuine (Polymer Technology Corp. v. Mimran (1992)). In essence, the first sale doctrine protects the secondary resale markets. Trademark owners can assert several trademark claims in keyword advertising, including claims for infringement, contributory infringement and dilution. Also, as you will learn, claims for false advertising may be able to be asserted relating to keyword advertising. Infringement occurs when a person uses another’s mark or a similar mark in a way that is likely to confuse consumers. Dilution occurs when a person uses a trademark that is identical, or nearly identical, to a famous mark in a way likely to tarnish the mark or blur its distinctiveness. In Mark Kay Inc. v. Weber, 2008, which I summarize below, the defendant’s sold Mary Kay goods on the secondary market as resellers. But, the Court noted that the first sale doctrine did not protect those who sell trademarked goods that are materially different then those sold by the trademark owner. (Mary Kay argued that the goods sold by the defendants were not genuine since they were past their expiration dates). The Court relied on a previous ruling in Warner-Lambert Co. v. Northside Development Corp. (1996), where the trademark holder only had to show: a) that it had established legitimate quality control procedures; b) that it abided those procedures; and c) that non-conforming re-sales diminish the value of the mark. While the courts have applied the first sale doctrine inconsistently, a framework has at least begun to develop that provides some guidance to Internet retailers. Recent court decisions have helped clarify what activities, or lack thereof, are considered to be infringement (or contributory infringement) for Internet resellers of goods, in comparative advertising and even for third party service providers. I discussed the nominative Fair Use defense in an earlier post. It basically applies when you use so much of a protected trademark as necessary only to identify another good or business. In terms of Internet resellers, the nominative fair use doctrine permits a reseller of branded goods to use the brand name in its advertising (Pebble Beach Co. v. Tour 18 I Limited (1998)). However, the right of fair use is not unlimited, and any nominative fair use cannot suggest “affiliation, sponsorship, or endorsement by the mark holder.” Fair use will only apply when you use so much of the owner’s mark as necessary to identify the products and nothing more. The cases that are summarized below will illustrate how this defense has been applied recently in the context of keyword advertising. If you use keywords that are registered trademarks of some third party in any Internet advertising, or when optimizing your website, you can potentially be liable for keyword trademark infringement. The problem, as with many other areas of Internet law, is that this issue and any potential liability for keyword trademark infringement is far from clear. Trademark laws are interpreted and applied inconsistently by the courts. Specifically, the Courts have been inconsistent with how they have analyzed the two key elements of trademark infringement: (1) whether the sale of a trademarked term as a keyword is a “use in commerce” as defined under the Lanham Act and (2) whether the use of a trademark as a keyword is likely to cause consumer confusion. Lesson: Many other courts following the decision in the Rescuecom case will now probably find that your purchase of a keyword which happens to be a protected trademark does qualify as a “use in commerce.” This means you’re not automatically liable for trademark infringement by purchasing and using a keyword that is a trademark. What it does mean is that the use in commerce element of trademark infringement is probably satisfied and any claim won’t just be left to die for failure to satisfy that single element. It remains unsettled whether the use of a registered trademark in keyword advertising creates a likelihood of confusion. Many plaintiffs in trademark infringement actions involving keyword advertising often attempt to meet the likelihood of confusion element by relying on the “Initial Interest Confusion” doctrine. Under this doctrine, although the consumer is not ultimately confused, a plaintiff may suffer harm because the consumer was initially confused and was therefore led to the plaintiff’s competitor’s website as a result of that initial confusion. For example, suppose another business has purchased a competitor’s trademark as a keyword and then used it in a pay-per-click advertising campaign. The consumer actually clicks on the link in the ad and is directed to that company’s website, not the website of the trademark owner. While browsing that company’s website, the customer buys a product that competes directly with the company who has trademarked the keyword being used to sell competing products. The customer is likely not confused when the purchase is ultimately made. But, the initial confusion led the consumer to the competitor’s website because the competitor used the trademark of the original company. The result is a lost sale for the trademark holder because it did not have control over its trademark. Some courts hold that the Initial Interest Confusion Doctrine may not be appropriate in e-commerce. They have reasoned that Internet users are very aware of the nature of pay per click keyword advertising and are free to hit the back button on their browsers. However, other courts have actually held that Initial Interest Confusion Doctrine can form the basis of a trademark infringement claim. Hearts on Fire Company, LLC v. Blue Nile, Inc. is one example. A federal district court in Massachusetts found that Blue Nile’s purchase of the “Hearts on Fire” trademark as a keyword which triggered Blue Nile’s advertisement, together with the search engine’s organic results, amounted to trademark infringement. The infringement was based on Initial Interest Confusion. The following case summaries examine three important cases involving keyword advertising. They each have helped form guidelines for Internet retailers, including resellers, and service providers regarding keyword advertising. The main points to take away from each case are included in the “Lessons” paragraph after each summary. Tiffany (NJ) Inc. & Tiffany and Company vs. eBay, Inc. (2004). This case serves as an example of an analysis of direct and contributory trademark infringement with Internet service providers, such as auction sites. Tiffany sued eBay in 2004 in a New York federal district court claiming that trademark law required eBay to monitor the goods sold on its site for counterfeits. Specifically, Tiffany argued eBay was liable for contributory trademark infringement due to eBay’s lack of quality control in policing counterfeit Tiffany items sold through eBay’s site. Tiffany also claimed that eBay’s purchase of internet advertisements that included the Tiffany trademark constituted direct trademark infringement. Finally, Tiffany claimed that the sale of counterfeit goods on the site amounted to false advertising. The district court ruled in July of 2008 that eBay’s use of the Tiffany trademark in its product listings was a protected fair use and that eBay had no such duty to monitor each single good for potential counterfeiting. The court’s decision extended the nominative fair use defense to keyword triggers. Of significant note is that one of eBay’s ads in question was triggered by the keyword “tiffany” and included “tiffany” in the ad copy. (The ruling does not address what happens if the trademark acts as a trigger but does not show in the ad copy). In the end, the main lesson is probably found in the following direct quote made by the court: “contributory liability may arise where a defendant is (as was eBay here) made aware that there was infringement on its site but (unlike eBay here) ignored that fact.” Tiffany did sent cease and desist letters to eBay and eBay did then respond promptly and started filtering the content. In November of 2010, the U.S. Supreme Court rejected Tiffany’s appeal. Thus, the decision by the 2nd Circuit appellate court will stand and will be authoritative law to the lower district courts within that Circuit and will provide guidance to other district courts. Nautilus Group Inc. vs. Icon Health & Fitness, Inc. In a comparative-advertising case, Icon Health’s used Nautilus’s Bowflex trademark in a sponsored ad titled “Compare CrossBow to Bowflex.” Nautilus sold the Bowflex exercise equipment and defendant sold Crossbow equipment. Nautilus filed suit in 2002 alleging patent infringement and trademark infringement, false designation of origin, and federal and state dilution, among other claims. The court determined that use of the mark by Icon Health did not infringe or dilute Nautilus’ mark. Main Point: Comparative advertising using protected trademarks as keywords is permitted so long as it is done fairly and without creating any type of consumer confusion. Defendants began selling inventory on eBay through the website “marykay1stop.” Mary Kay demanded that the defendants cease using its Mary Kay trademark as part of the store name and remove all copyrighted Mary Kay photographs. Defendants removed the copyrighted materials and changed the name of the eBay store to “Touch of Pink.” They also created a website at www.touchofpinkcosmetics.com through where they continued to sell Mary Kay products. They also still used the Mary Kay name on these sites to identify the products that were being sold. Mary Kay ultimately sued the operators of the website for trademark infringement, among other claims. The Mary Kay court stated that if the ad only stated “Moviebuff 50% Off,” the line between the advertised service and the mark “would be far less clear.” In evaluating defendant’s ad, the court found that “[o]ne could easily conclude from this ad that the entity offering the sale either is Mary Kay, or has Mary Kay’s approval.” The court decided that the issue of whether fair use protected the use of the Mary Kay trade mark in the text of the sponsored ads presented a genuine issued to be determined by the court. Use Directly on Website-The court did not apply the fair use defense regarding Weber’s use of the Mary Kay mark on her website, the court declined to decide whether such uses constituted nominative fair use. The court instead applied the traditional likelihood-of-confusion factors to determine whether the website created a likelihood of confusion as to affiliation or sponsorship with Mary Kay. The court found that six of the seven factors favored Mary Kay. These factors included that the marks used and products sold by Weber were identical to Mary Kay’s marks and products; the identities of potential purchasers were “likely identical or at least very similar”; the parties used the same advertising media; and there was some evidence of actual confusion in the form of emails with one individual and “legally relevant” confusion from an otherwise flawed survey. Intent–The final factor the court considered was the defendant’s intent, which was “neutral” according to the court. Defendant had placed a disclaimer on their website stating that the website was not endorsed by or affiliated with Mary Kay. But, the court noted that it was not prominent and did not even appear unless a user clicked on an “About Us” link. The court denied defendant’s nominative fair-use defense regarding direct use of the mark on the website and the case proceeded to trial. Ultimately, a jury found for Mary Kay on its trademark infringement and unfair competition claims. The court clarified that the defendants could only use so much of the protected trademark as was necessary to identify the genuine, non-expired products defendant was selling. However, the court refused to prohibit defendants from purchasing Mary Kay’s trademarks as search-engine keywords. It did not specifically comment on use of the Mary Kay trademark in the keyword-triggered sponsored ads. But, the court decided before the trial to allow the fair use defense to be analyzed in this context (instead of outright rejection of the defense). Also, its direct comments during the trial specifically suggest that keyword advertisers could use trademarks in keyword-triggered ads if not used in a way to suggest affiliation with the trademark owner. Meta elements provide information about the content contained on a given webpage. Usually, they are included to help search engines index the pages properly. A meta tag is a coding statement in the HTML that describes some aspect of the contents of a webpage. The information that you provide in a meta tag is used by search engines to index your webpage. Keyword meta tags list the keywords or keyword phrases that describe the contents of the webpage. These tags are placed near the top of the web page as part of the heading. As any SEO guru would tell you, proper meta tags can help your website obtain higher search engine rankings. But, if you use any protected trademarks of any of your competitors as metatags, you might be liable for trademark infringement. 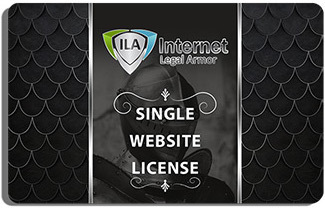 Infringement can occur in this situation because your website was listed in the search engine results by using someone else’s protected mark. There are different kinds of meta tags, but the most important tags used for search engine indexing are keyword meta tags and the description meta tags. The description meta tag includes a brief description of the webpage. Potential customers of your competitor will naturally use the brand name or trademark as a keyword when they use search engines to find that competitors’ products. So, if you try to achieve rankings by essentially diverting your competitor’s customer stream, you could do so at your own peril. There really is no uniform standard regarding infringement for comparative or trademark keyword advertising. One court might view some factors as more important than another court will. However, a few general principles have seemed to emerge from each of these cases (and others) that should be identified and followed by your Internet business. I have summarized these below. Do not display the trademark (keyword) on your website or any other promotional materials used by your business. Ultimately, the lack of appellate court decisions on this issue and the inconsistent analysis of the district courts who have decided this issue make it difficult to develop an effective strategy for reducing the risk of trademark liability. This means that all businesses employing trademark keyword advertising methods should proceed at their own risk. Accordingly, you should probably avoid using keywords that are known trademarks of someone else entirely to be completely safe. You should stick with keywords natural to your own business or related to the goods/services your business offers or is reselling. Content relating to your business should always be used over obvious trademarks in any keyword advertising campaign.